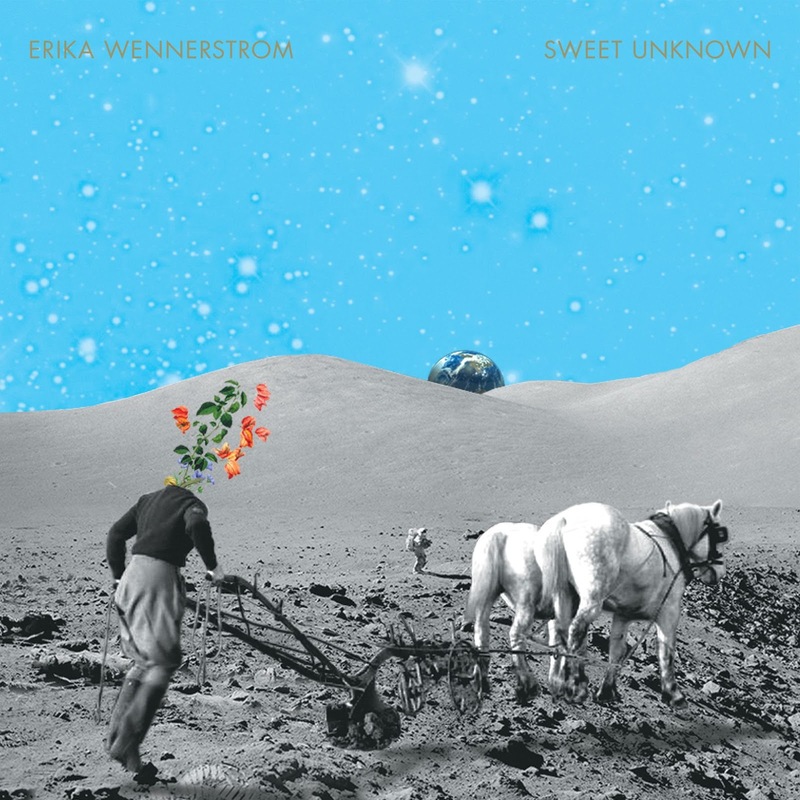 Sweet Unknown is the first solo record from Erika Wennerstrom after five albums with her band Heartless Bastards who went on hiatus in 2016. It's a wonderfully uplifting record, from Erika's warm rich and inviting voice that feels like it's living out every word of the songs to the expansive instrumentation that sets the mood. The album opens with Twisted Highway, a song that encourages the listener to look at what's good in their life and to focus on the positives. The verses deal with the bad stuff, talking of "fingers, how they bled for gripping on for too long" whilst the chorus "I've been so blind I could not see what was right in front of me." The message is an immediate and clear one, the delivery is inviting, the depth of emotion and tone in the way Erika sings those words makes you listen to her. It's a theme that carries into Extraordinary Love, a song that had us smitten before we'd even heard half of it. It was our intro to Erika as we'd read Nicole Atkins tweet " I’ve listened to Extraordinary Love on repeat with tears and I’m not even heartbroken right now", the sort of recommendation that makes us, at least and we'd imagine others, have to listen to it. Even before Erika starts to sing, the song had us hooked, soaring powerfully from the off, but it's just a precursor. It's a raw expressive song, betraying a search for happiness that comes to its conclusion in the chorus as she declares "I want to feel extraordinary love, a love that always echoes through my mind..., a love that only comes from with inside." It's one of the most cathartic songs we've heard, but one that resonates with the revelation that you can get through to the other side. We had to pause for breath before continuing to the next song the first time we heard it. Once we've composed ourselves, we're almost grateful that things don't get quite that close to the bone, but the sentiments remain. Letting Go declares "I'm searching for all the good things in my life, letting go of what doesn't matter" with a sense of having found the golden ticket that solves the fundamental things that bring you down. Sweet Unknown feels so far like a journey of self-discovery, decluttering and refocus. That positivity flows into Time, from the wonderfully upbeat intro with strings dancing in the background into the declaration that "I've been learning to trust myself with no hesitation, I've been my own worst enemy all this time" as if each song is peeling away another skin of realisation that the answers to most emotional questions lies inside yourself. Be Good To Yourself is self-explanatory from the title and is a little bit slower in pace than what's gone before but doesn't turn down the intensity dial, dealing with a friend and their situation, offering the arm around the shoulder and the consoling words "there is no doubt in my mind, I know you can get through this, just remember be good to yourself" as the most sage advice for any situation where emotions are in control. Staring Out Of The Window goes back to understanding herself, picking over the bones of past disasters in relationships and emotional situations, evaluating them through the lens of self-discovery that's preceded it on the album and coming to the conclusion that "it's not me, it's you." Good To Be Alone clocks in at over ten minutes, in fact the average length of a song on here is over six, not that you notice it because you're so involved in the song. This deals with the black and white analysis of the aftermath of the fall-out of a relationship and how good it can feel to be alone. It takes a journey through the thought process to get to that situation, before stretching its legs in a guitar solo and a set of gorgeous harmonies that give the feeling of contentment of the world being put to right in the final line "I'm going to rest my bones sitting here at home. And it feels nice." Like A Bird feels like taking everything that's happened in the other songs and learning from it in creating a new philosophy, declaring "I was like a bird without a song, it was so hard to move on, I'm gonna open up and let the good things come." The album concludes on Gravity, a little more stark musically than what's preceded, but a song that effectively acts as a summing up of what's gone before it and projecting forwards, reflecting on "beginning to know myself in a way I've never known" and being "ready for whatever life brings to me, learning to relax under gravity." This was a record we walked into knowing little about its creator, but by the end feeling like we've been through much of the same situations, emotions and battles that she details throughout. It's a reflective record, digging deep into the inner psyche but coming out the other side wiser, stronger and ready to fight for itself rather than leave things to chance. The detail in the descriptions of emotions might be hard for some to take, if they view music as a form of entertainment, but Sweet Unknown is for us everything that music should be when you listen to it at home. It's intense, every word is there to help tell the story and you can immerse yourself in it. By the end you think you've known Erika all your life and you're willing her on. It's been out a few days, but it feels like it's a record that's going to live with us for a long time. Erika Wennerstrom's official website can be found here and she is on Facebook and Twitter.